Hi, I’m Jenny. I’m a stylist at a busy commercial photo studio that I co-own with my husband Will. We spend our days shooting food, still life and kids for the ad industry. 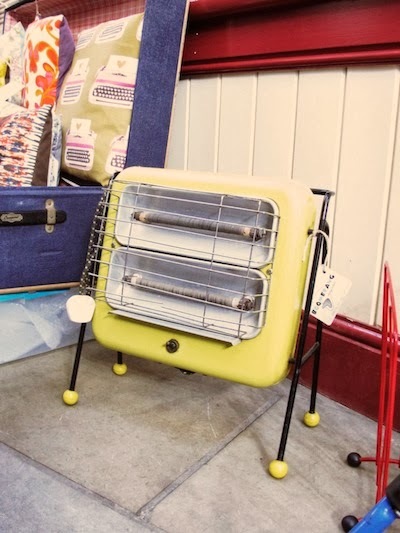 The Vintage Village is always a great source of inspiration and a breath of fresh air from the mundane pickings of the high street, with many a quirky and irresistible gem. 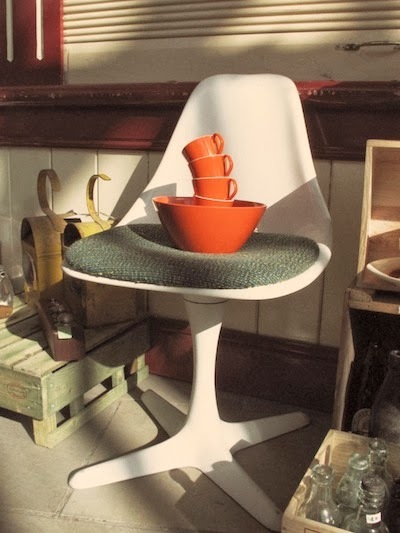 I love mid century furniture, I’m potty about bright plastics and bonkers about buttons! So armed with the ever ready excuse of buying props for the studio, I have no problem indulging my whims! Here are my Finds of the Fair! My first little gem was found at Goody Gum Drops. A real retro blast from the past. I was transported back to my childhood with cries of “don’t stand too close to the fire!” Thankfully those little nylon numbers might be safer now in our central heated homes. A real bargain at twenty five quid! I just managed a quick snap before it was whisked away to a good home (quite jealous). 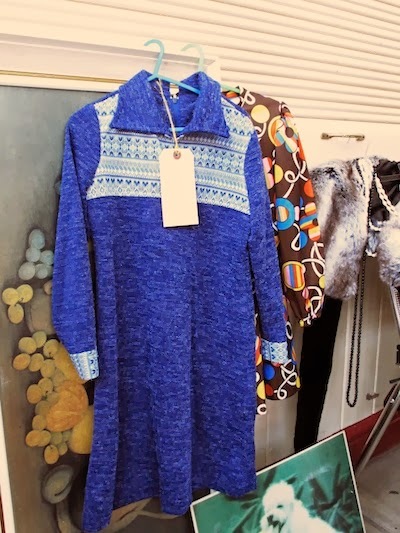 A newcomer to the fair with an array of larger exciting items. 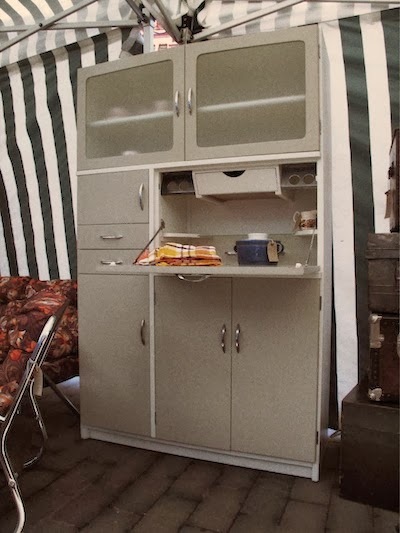 It was hard to pick just one, but I’ve plumped for this, a lovingly restored kitchenette. One day I’m going to have one of these to keep all my sewing bits in. 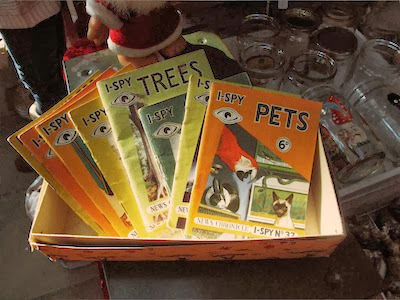 I-Spy books, you’ve got to love them! Still going strong but there is an unmistakable charm about these vintage ones. The previous keeper has respectfully used a pencil, so out with the rubber and all the joy of filling them in again. [Editor] HUGE thanks Jenny! 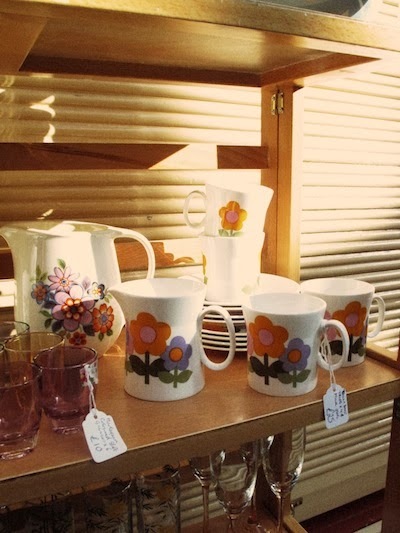 What a glorious selection of prime vintage pieces! Boomerang always has some great pieces and I wasn’t disappointed this month. Yes it's an electric fire, but what a colour and just check out those feet. I don’t think I’ve seen anything quite like this before. 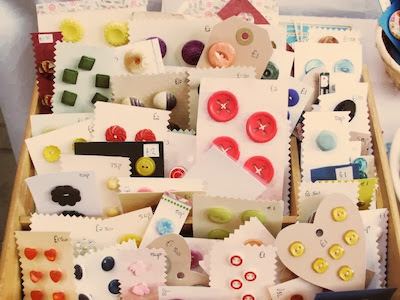 Buttons! Just one of my many addictions. 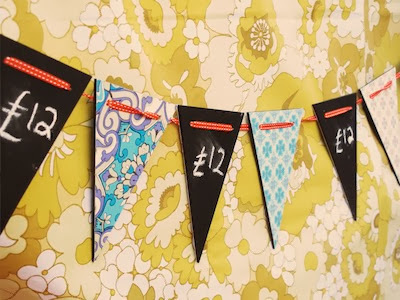 I’ve not been to many fairs without purchasing some. The lovely pink ones in the middle came home with me today. One of Jodi Jo Retro's many fab creations. Blackboard one side / funky retro wallpaper on the other. Comes with a couple of chalks thrown in for good measure and packaged to perfection, as ever! 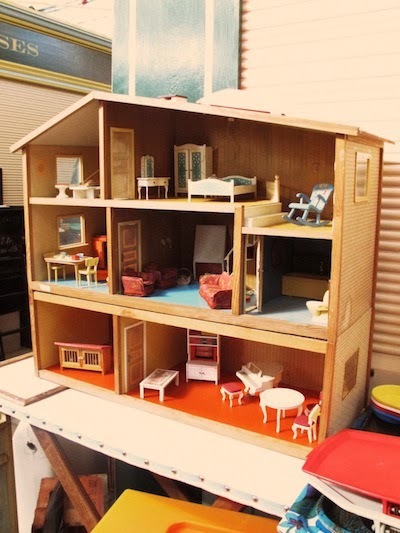 The palpitations set in as I turned the corner and spotted this Lundby dolls house. Unfortunately, with one at home in a fine state of disrepair, I couldn’t justify swanning off with this. Believe it or not I was actually told off for not buying this when I got home - that’s a first!